The purpose of this blog is to document my journey into being more "intentional" with my discretionary spending habits aka shopping. As part of this journey, I want to do more thrifting because its about being smarter not just richer or working harder. Why pay full retail price for an item that I can get in like new condition for much less? It's taken me 10 years to get comfortable with the concept of thrifting. I was initially really grossed out by the idea of wearing other people's clothes. My mindset changed when I realized that some of the items I donate to thrift stores are brand new, washed once or like new. Why not, I reasoned, look for clothes that have been donated by people like me: remorseful serial shoppers! So that's what I've been doing and yesterday I bought my first sweater. 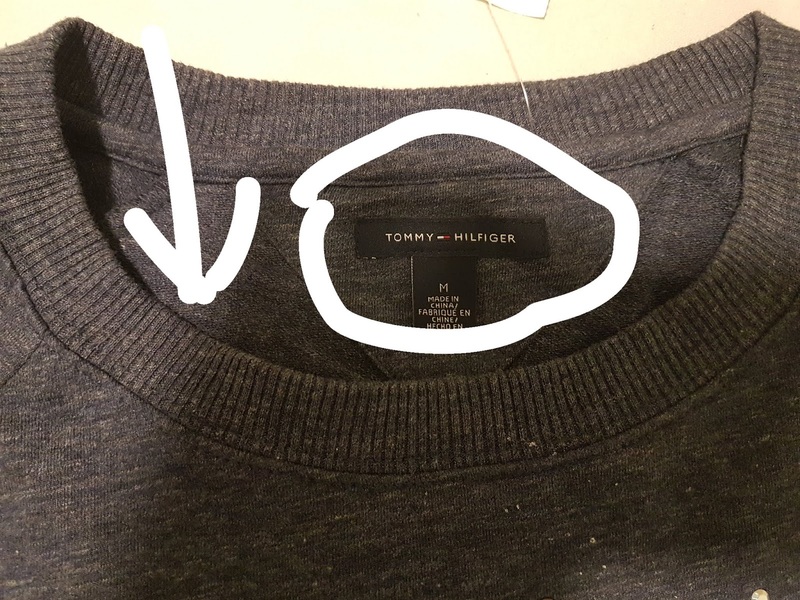 How can you tell a sweater is worth buying in a thrift store? Here's what I looked at. Condition of label: still lies flat. Not curled up from multiple cycles in the dryer. 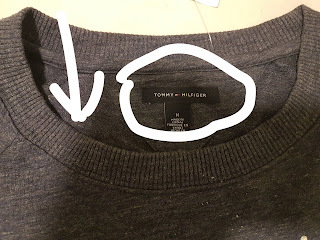 Trusted brand: I've bought many a Tommy Hilfiger sweater over the years and it's a brand I like for cotton sweaters that fit my style. I have noticed that their sweaters shrink after washing and have been looking shorter and shorter on me; so I was quite happy to see that my purchase was longer than normal. And like that, the First Sweater is thrifted. $7 out of pocket! Hoping for more good buys like this.